Good. 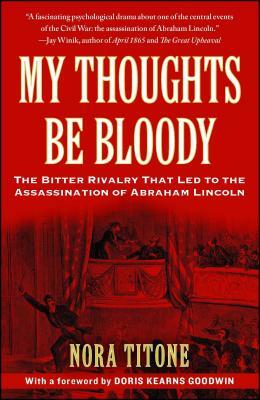 My Thoughts Be Bloody: The Bitter Rivalry That Led to the Assassination of Abraham Lincoln by Titone, Nora, 2011-05-31. Trade paperback (US). Glued binding. 479 p. Contains: Illustrations, black & white. Fine. 1416586067 LIKE NEW! ! ! Has a small black line on edge of pages. Tracking is not available for orders shipped outside of the United States.